Heavy Duty Industrial Ovens to 250ºC. The oven lining consists of high efficiency low thermal mass insulation to reduce energy consumption. 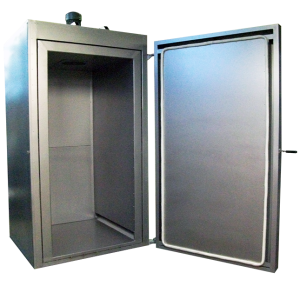 The chamber is lined in mild steel on all sides and finished in aluminium heat resisting paint. The oven has a heavy gauge steel floor, supported for extra strength. The side hinged door/s affords obstruction free access to the work chamber. Different door types are also available as an option. For safety a door operated interlock turns off power to the heating elements and fan when the door is opened. Heating: The heating elements are high quality inconel sheathed elements carefully positioned in ducts at each side of the oven work chamber. 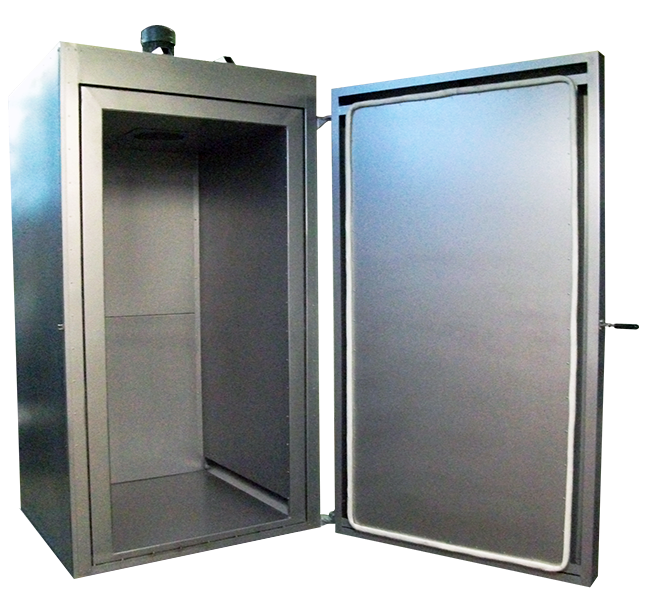 An air circulation fan in the oven roof ensures excellent temperature uniformity within the work chamber. Power to the heating elements is controlled by solid state relays for accuracy and reliability. Controls: The controls are easily visible in a ventilated side mounted control box. A microprocessor based digital temperature controller with set-point and process displays, provides accurate fully automatic control. For safety an adjustable independent digital over-temperature controller is fitted as standard. Controls include thermocouple break protection. Alternative sizes can be made to order. Options include: choice of temperature controls / programmers / recorders / communications / timers / floor stands / inlet & outlet vents, etc.